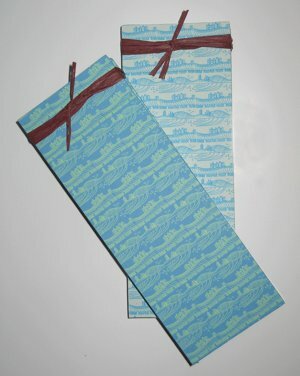 During open studio events in particular, my hand made notebooks, designed for making lists as much as notes, are always popular and make great gifts. 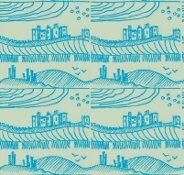 Each book is bound using my own patterned papers and I was recently approached by Covance Laboratories Ltd. in Alnwick, to design a paper featuring Alnwick and Northumberland for some notebooks to be given as gifts to visitors to their Alnwick site. The books were made in two colourways and feature the castles and countryside of Alnwick and Dunstanburgh castles. Printmaking as illustration was chosen by a group of Northumbrian musicians, The Windy Gyle Band. 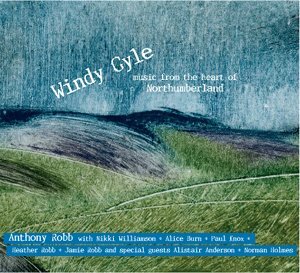 In considering the cd packaging for Windy Gyle - music from the heart of Northumberland, Anthony Robb invited me to do some prints in response to Windy Gyle, a very beautiful and wild place in the Northumbrian landscape. He asked me to design both the packaging and the cd around that rather than using a more traditional photographic approach, of either the band or the landscape. The final cd was packaged in a digipack, a cardboard fold out pack and the cover image was also applied to the cd. The final visual impact was very different to other Northumbrian folk music cds and was very well received. 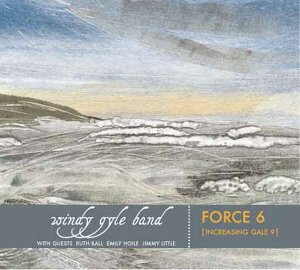 The success of this approach led to some new prints, this time of a stormy North sea, for Force 6 (increasing gale 9), the next cd by The Windy Gyle Band. 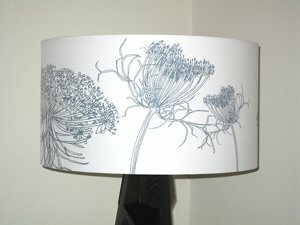 Sketchbook drawings of these delicate white and lime green flowers with lacy foliage were digitally printed onto fabric to make this floral lampshade, a personalised piece of lighting design. Ammis visnaga 'White' is stunning in the garden, but is also a striking floral motif for use in my print work.